MapHelp is an advanced Excel utility for a rapid production of presentation-ready scatterplots and bubble maps, popular among researchers who love a user-friendly charting tool. 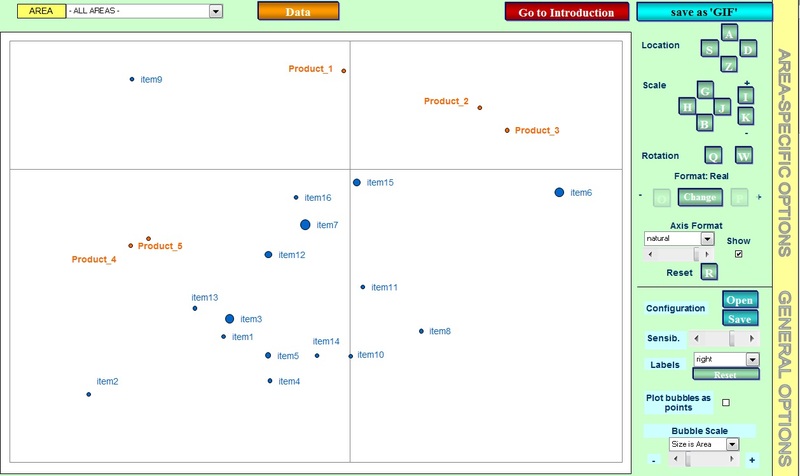 MapHelp is especially indicated for the preparation of perceptual maps (e.g., correspondence, factorial and discriminant maps), where specific groups of elements can be identified (e.g., brands vs statements) and separately handled. MapHelp comes with a very simple interface, as the screenshot below shows.